The Shirlington Dog Park gets thousands of visitors every year, and all that two- and four-legged traffic means it needs a good clean up effort at least twice a year. This weekend give back to the best dog park inside the Beltway and help out at the clean up day, Saturday, Oct. 11 from 10:00 a.m. to 12:00 p.m.
Basically, clean up day means clearing the paved path of debris, picking up trash, and other general maintenance items. 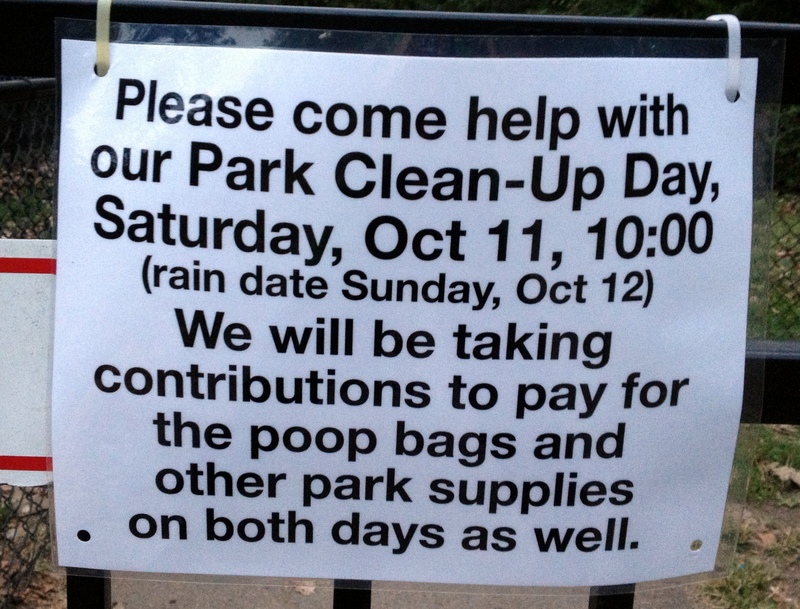 If you have heavy gloves, a rake or shovel, bring them. And, even though the park is Arlington County property, did you know that it’s managed entirely by volunteers? That’s right, those conveniently-placed waste bag dispensers are there for your convenience thanks to money from donations, and some signage sponsored by local businesses. So make sure to drop some dollars into the collection box that will be on a table at the entrance closest to Shirlington Village. The park is at 2601 South Arlington Mill Drive, Arlington, VA 22206.